Check out our latest capture of a Lake Travis sunset. This is another capture of this great sunset over Lake Travis. Today we had a full lake and nice sky right before the sunset and gave us this beautiful sky. The Lake was built as a reserve on the Colorado river which holds excess waters from flash floods. Lake Travis is the largest storage of water in the Highland Lakes. The reserve was built in 1942 after the construction of Mansfield dam near Austin by the Lower Colorado River Authority (LCRA). The lake goes from Austin upstream for 65 miles along the Colorado river. Lake Travis was not designed for recreation use but it is one of the most populars places to boat, swim, fish, picnicking, suba diving along with many other activities because of it clear waters. This area of Lake Travis is also a scenic location overlooking the big bowl of the lake. Tourist and locals come here to try and capture one of the spectacular sunsets. This area is located at the foothills of the Texas Hill Country near Austin and it is a great place to capture a piece of the Texas scenic landscape anytime of the year. 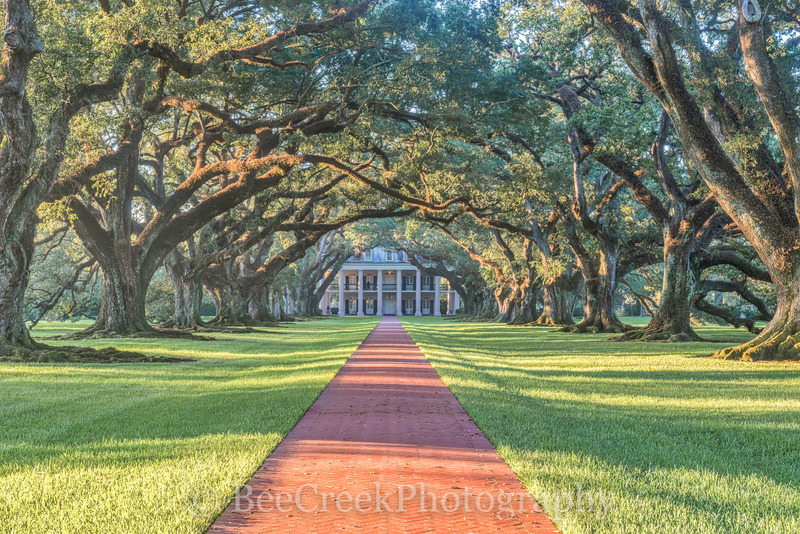 This image looks wonderful on canvas or metal prints click below to see pricing. Lake Travis Sunset2 – Lake Travis sunset in the Texas Hill Country can be an awesome sight as the sun sets in the west and reflects back the oranges glow of the sky in the water. This image was taken a short time after the first similar one as the sunset was more intense. This lake is the most popular spot for people from Austin and other Texas cities to visit every summer. This lake is about 20 minutes from Austin and is a very popular location to come and watch the sunset, boating, swimming or whatever water activities you like. The water quality here is pretty good so in many places you have good visibility for snorkeling or diving. Posted in Photo of the Day and tagged Austin, hill country, Lake travis, Mansfield, rural, scenic, sunset, sunsets, texa hill country, Travis on April 25, 2017 November 9, 2018 by Bee Creek Photo. We capture the stars over the McDonald Observatory in Fort Davis Mountains in west Texas from a distance away. The stars began to come out over the observatory and we used our largest lens to capture it from a good distance away. We capture a sun set over the Davis mountains earlier and felt like a long wait for the night sky to finally get dark enough but we were finally rewarded with these wonderful stars over the McDonald Observatory in the distance. The McDonald Observatory is located near Fort Davis in Jeff Davis County, Texas, United States. The facility is located on Mount Locke in the Davis Mountains of West Texas, with additional facilities on Mount Fowlkes, approximately 1.3 kilometers (0.81 mi) to the northeast. The observatory is part of the University of Texas at Austin. It is an organized research unit of the College of Natural Sciences. were happy were were able to capture this close up image of the Otto Struve Telescope on top of The summit of Mt. Locke, dedicated in 1939. It was the first large telescope built at the observatory and next to it is the The Harlan J. Smith Telescope that was completed in 1968. We capture this last shot of the astronomical observatoryTelescope Dome as the the night stars were just coming out at McDonald Observatory in the Davis mountains in far west Texas. This area is considered to be one of the darkest skies in Texas so a perfect place to look at the stars. This image may print slightly darker than seen here. Posted in Photo of the Day, Travels and tagged fort davis, fort davis mountains, McDonald Observatory, mount locke, night, observatory, otto struve, sky, stars, telescope, west texas on April 17, 2017 August 25, 2017 by Bee Creek Photo. Another great sunset image with the McDonald Observatory and the Davis Mountains in west Texas in view. The high and dry peaks of the Davis Mountains make for some of the darkest and clearest night skies in the region and provide excellent conditions for astronomical studies but also have some nice sunsets and sunrise. We capture this sunset while we were waiting for the stars to appear. It seem like the sky was never going to get dark but once it did it was very dark. The McDonald Observatory is an astronomical observatory located near the community of Fort Davis in Jeff Davis County, Texas, United States. The observatory is managed by the University of Texas. 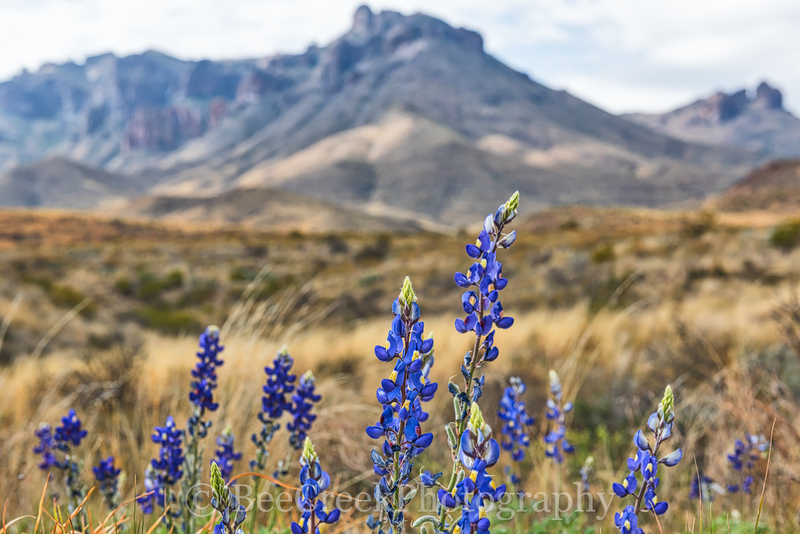 The facility is located on Mount Locke in the Davis Mountains of West Texas, with additional facilities on Mount Fowlkes, about 8 miles away. . Included in this image is a close up of the Otto Struve Telescope on top of the summit of Mt. Locke, dedicated in 1939. It was the first large telescope built at the observatory and next to it is the The Harlan J. Smith Telescope that was completed in 1968. 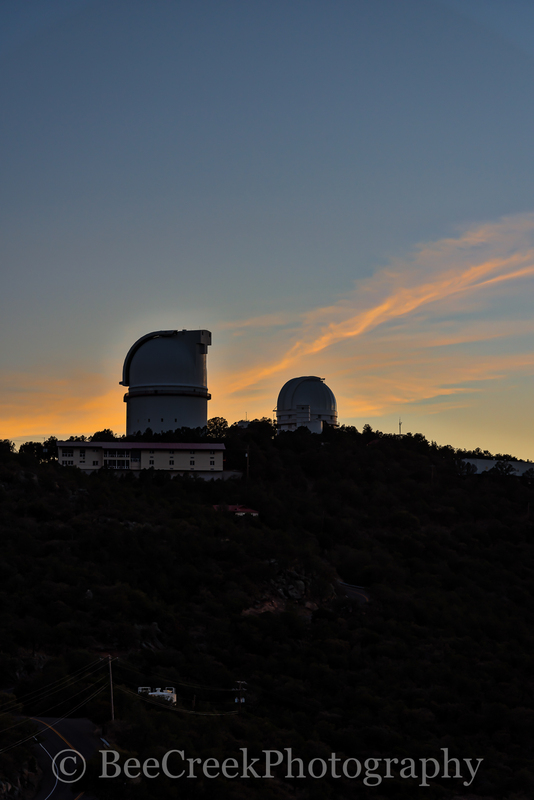 Today at the McDonald Observatory is reasearch into a wide variety of topics, including planetary systems, stars and stellar spectroscopy, astronomy and many other topics. McDonald Observatory at sunset as the clouds light up with these colorful pinks and oranges over the tops of the two observatory in the skies over the Davis Mountains. Posted in Photo of the Day, Travels and tagged fort davis, fort davis mountains, McDonald Observatory, obeservatory, sunset, telescope, west texas on April 15, 2017 August 25, 2017 by Bee Creek Photo. Sunset Over McDonald Observatory in Fort Davis Mountains – Sunset at the McDonald Observatory in the Fort Davis Mountains in west Texas. While we were waiting for the stars to appear we captured this colorful sunset over the mountains and the two observatory telescopes. In the image is the Otto Struve Telescope on top of The summit of Mt. Locke, dedicated in 1939. It was the first large telescope built at the observatory and next to it is the The Harlan J. Smith Telescope that was completed in 1968. This image shows the Davis Mountains with two of the the McDonald observatory as the sun was setting over the mountains near Fort Davis. 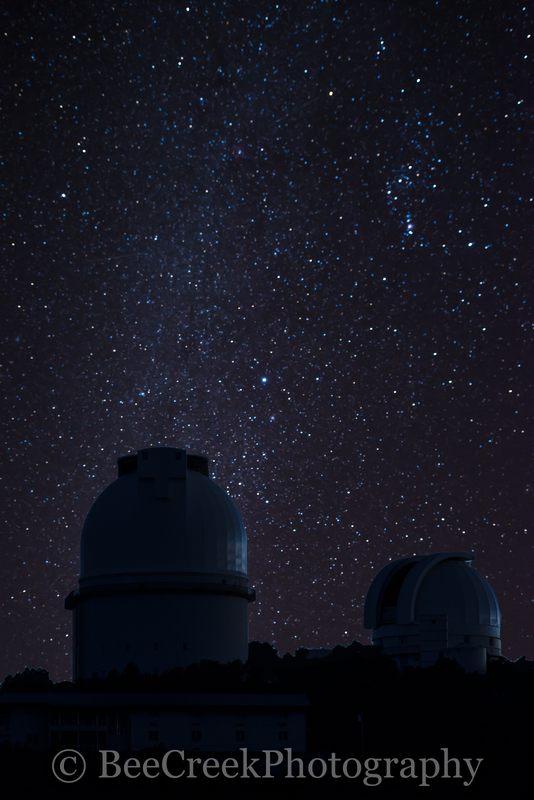 The observatory is run by UT and is located in one of the darkest area of Texas. This observatory is used for astronomical research of the planets and stars and stellar along with other interest. 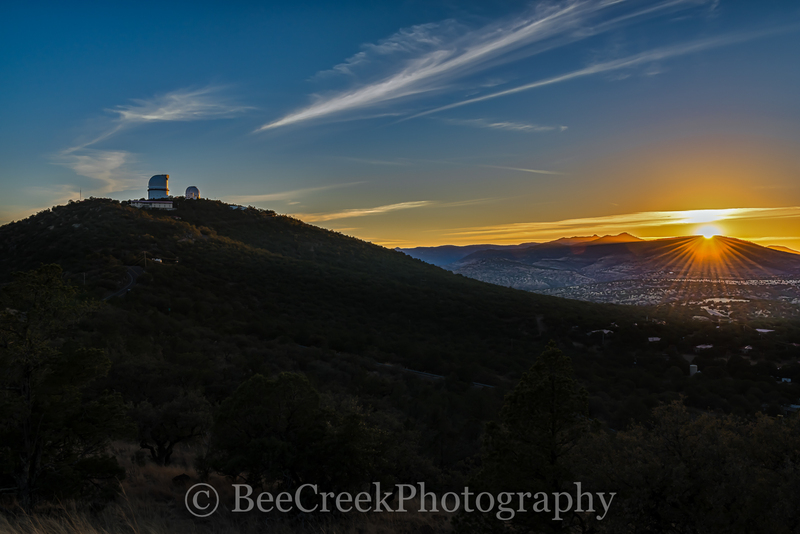 McDonald Observatory Sunset – We captured this wonderful sunset image of the McDonald Observatory near Fort Davis in Jeff Davis County, Texas, United States. We loved this with the Davis Mountains sunset with two of the McDonald observatory sitting on top of Mount Locke just after sunsets. The dark skies in this area is why the McDonald Observatory is located here and on top of this mountain you have two telescope domes the Otto Struve and the Harlan J. Smith in view. This area of west Texas in the Davis mountains is known for having some of the darkest skies around it why it was located here and is run by UT. This observatory is used for astronomical research of the planets and stars and stellar along with other interest. Down below they host regular star parties using smaller telescopes but be sure to make reservation as it is on only on certain days and it may be limited in how many people are allowed. Posted in Photo of the Day, Travels and tagged davis mountains, fort davis, fort davis mountains, McDonald Observatory, observatory, otto struve, sunset, telescope, texas, west texas on April 13, 2017 September 25, 2018 by Bee Creek Photo. Captured this at sunrise as the sun came up it cast this golden glow over the clouds and lake with a little light on the bluebonnets. We thought it made a nice texas landscape image of this great field of bluebonnet at the lake in the Texas hill country. Springtime in Texas is my favorite time because of the wildflowers we can all thank Lady Bird for help in making spring special every year. Posted in Photo of the Day on April 12, 2017 August 25, 2017 by Bee Creek Photo. Texas Bluebonnet Memories- We pulled this Texas bluebonnet image from the archive from 2015 where we captured an amazing sunset that day we only have our memories of this place as it gone for good now. This field was full of bluebonnets as far as you could see is gone for ever, it is now the new site of the PEC corporate office just north of Marble Falls that is next to the famous bluebonnet farm house that every one has images of. Just came across this image of the field of bluebonnets we took several years ago next to the old farm house in Marble Falls. Unfortunately this field is gone forever now as they are building the New PEC office there. I had not put this out here but since it the last memory of this bluebonnet landscape next to the old farm house it deserve to be seen. Love the sky which was a swirl of clouds at sunset and the sky picked up the reds and pinks colors and cast a nice glow over this bluebonnet landscape as the sun set. Posted in Photo of the Day, Travels on April 5, 2017 September 17, 2018 by Bee Creek Photo.